Stochastic processes are indispensable tools for development and research in signal and image processing, automatic control, oceanography, structural reliability, environmetrics, climatology, econometrics, and many other areas of science and engineering. Suitable for a one-semester course, Stationary Stochastic Processes for Scientists and Engineers teaches students how to use these processes efficiently. Carefully balancing mathematical rigor and ease of exposition, the book provides students with a sufficient understanding of the theory and a practical appreciation of how it is used in real-life situations. Special emphasis is on the interpretation of various statistical models and concepts as well as the types of questions statistical analysis can answer. The text first introduces numerous examples from signal processing, economics, and general natural sciences and technology. It then covers the estimation of mean value and covariance functions, properties of stationary Poisson processes, Fourier analysis of the covariance function (spectral analysis), and the Gaussian distribution. The book also focuses on input-output relations in linear filters, describes discrete-time auto-regressive and moving average processes, and explains how to solve linear stochastic differential equations. It concludes with frequency analysis and estimation of spectral densities. 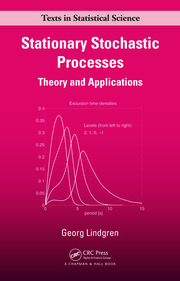 With a focus on model building and interpreting the statistical concepts, this classroom-tested book conveys a broad understanding of the mechanisms that generate stationary stochastic processes. By combining theory and applications, the text gives students a well-rounded introduction to these processes. To enable hands-on practice, MATLAB® code is available online. 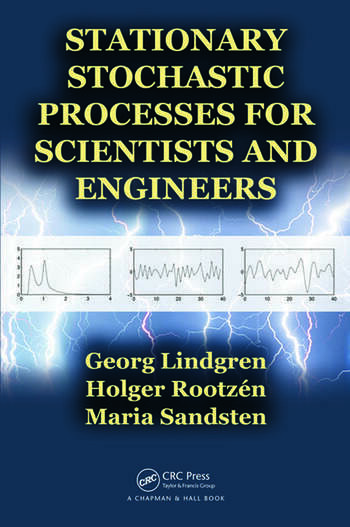 "This book is designed for a first course in stationary stochastic processes in science and engineering and does a very good job in introducing many concepts and ideas to students in these fields. … the book has probably been tested in the classroom many times, which also manifests itself in its virtual lack of typos. … Another great feature of the book is that it contains a wealth of worked example from many different fields. These help clarify concepts and theorems and I believe students will appreciate them—I certainly did. … The book is well suited for a one-semester course as it contains exercises at the end of each chapter. 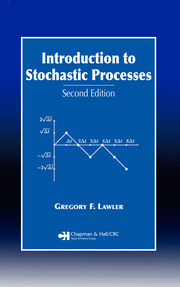 … I can warmly recommend the book for a first course on stochastic processes as the book introduces many important concepts and illustrates these by interesting examples." "This book is a lucid and well-paced introduction to stationary stochastic processes, superbly motivated and illustrated through a wealth of convincing applications in science and engineering. It offers a clear guide to the formulation and mathematical properties of these processes and to some non-stationary processes too, without going too deeply into the mathematical foundations; the emphasis throughout is on practical application rather than mathematical development for its own sake. The reader will find tools for analysis and calculation and also—importantly—material to deepen understanding and generate enthusiasm and confidence. An outstanding text." "…a very nicely written book on stationary stochastic processes, with scientists or engineers as audience in mind. There is a careful balance between mathematical rigor and ease of exposition, and the book reads very nicely. Various examples and applications are included along with exercises. It should prove to be a very useful book for engineers and scientists working in the area, but is also interesting for mathematicians as it contains various examples and applications and provides a quick introduction to the theory." "... an introduction book to time series analysis ... suitable for a one-semester course. It is a well-written and easy to read book which is illustrated by lots of examples. The book is mainly intended for students in science and engineering, but it is also a good source of information for researchers who want to learn about time series analysis."